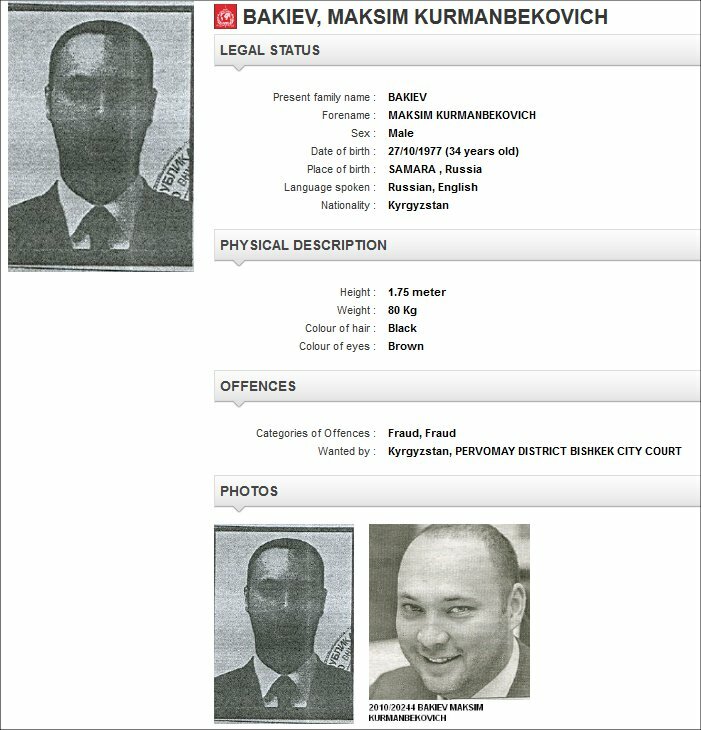 Maksim Bakiyev tracked not only in Bishkek, but also in the States? The promising detention of the former Kyrgyz president’s son in London, who left the country with his family and entourage after yet another “revolution” in 2010, was somewhat unexpected for observers. The post-revolutionary country, which at first actively demanded the extradition of Kurmanbek Bakiyev and his many relatives, almost gave up hope of their return: the former authoritarian leader and his many brothers settled in friendly Belorussia under President Lukashenko’s protection, and his son Maksim went to London, where he said he was being persecuted and asked for asylum. The issue of whether to grant Maksim Bakiyev refugee status in the UK was not decided – it was being examined by the authorities. The UK is a country where everybody is equal before the law, and human rights are held at the top of the hierarchy of relations between the government and society. Moreover, there is no bilateral agreement between Kyrgyzstan and the UK, according to which the Uzbek “prince” could be given back to his homeland. This is why he lived quietly in London’s most upmarket district for two and a half years, without fear of extradition. However, it suddenly became clear that Kyrgyzstan is not the only country to have grievances against Mr Bakiyev, but the USA does too. 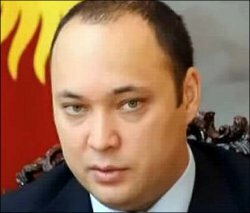 While Bishkek primarily accuses the influential presidential offspring of corporate raiding, embezzling government funds and other grave offences, the US authorities accuse him of “participating in a criminal conspiracy with the aim of committing fraud and colluding to obstruct justice” (quotation from the BBC). It is important to note that there are criminal acts committed by Mr Bakiyev from April 2010 to April 2012, when he was already in London. It is worth noting that a person can only be taken to court on cases which have a direct link to American companies or citizens, unless the person is an arms dealer or accused of crimes against humanity. Therefore, it is clear that the US is demanding Mr Bakiyev’s extradition from London in connection with crimes committed on US, rather than Kyrgyz territory. As Fergana discovered from its own sources, a criminal case against a group of people was initiated by the Manhattan district prosecutor (New York’s central district) on suspicion of conducting illegal operations on the stock market and using insider information. Originally, the main protagonist of this case was a US citizen, known banker and financier Evgeny Gurevich. It is worth noting that the wave of protest against President Bakiyev, which began in Spring 2010 in Kyrgyzstan, was sparked by criticism of Mr Gurevich’s activities. Fergana was then the first to report that an arrest warrant for him had been issued in Italy, accusing him of creating a scheme to launder billions of Euros for mafia structures. At the time, Mr Gurevich lived in Bishkek, and as head of MGN Capital, he was one of the government’s most trusted people and was in Maksim Bakiyev’s inner circle. In 2011 Mr Gurevich was sentenced to 15 years in jail in absentia for corruption. According to Fergana’s sources, it was around at the same time that the first family’s financier, who had moved to the US, came under the radar of the US financial monitoring services. However, Maksim Bakiyev’s name turned up later in the case: the American investigation believes that it was the Bakiyev family’s ill-gotten capital that was used on the stock market by Mr Gurevich. Having realised that he could not escape justice, Mr Gurevich agreed to cooperate with the investigation and “surrendered” his former patron to the FBI. As we said earlier, Maksim Bakiyev is officially accused of “participating in a criminal conspiracy with the aim of committing fraud and colluding to obstruct justice”. Whatever this cloudy statement means, one thing is clear: Maksim Bakiyev became skilled in financial machinations and did not lose time when living in London. Along with Mr Gurevich and currently unknown fraudsters, he built new frameworks to launder money taken from the Kyrgyz treasury during his infamous father’s rule. Having disclosed all of Maksim Bakiyev’s cash flows to the American investigators, Mr Gurevich has remained free. However, he will still have to own up to a lot more to become clean before the law. On 11 October 2012 the Italian press reported that he is “voluntarily returning to Rome” in order to participate in the court process on laundering money for the mafia, which has been going on for over two years. It is likely that the experienced business man has made a deal with the Italian investigators in return for guarantees that he will not be sentenced to a jail term. However, his former patron is expected in the US, where he may be extradited soon by the UK authorities. Despite Bakiyev junior being released on bail and the court case has been set for the start of December, there is little room for doubt that he will be handed over to the US authorities. It is absolutely clear that the FBI will have enough grounds to prove Maksim Bakiyev’s “American” guilt. Then, during the court case, the Americans may turn their attention to documents provided by the Kyrgyz side relating to Maksim Bakiyev’s earlier period of illegal activities.